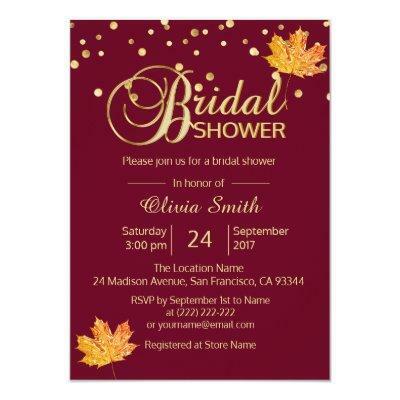 Elegant fall / autumn theme bridal shower invitation templates. Burgundy, marsala and orange. Faux gold confetti. Topography design letter. Easy to add your info; contact designer for help/ more options. Perfect for that &#;FALL IN LOVE&#; wedding collection!